The Shroud of Turin: Beyond Science? While watching the History Channel’s Easter special on the Shroud of Turin (The Face of Jesus Uncovered? ), I was in awe of the capabilities of science and computer technology; however, I was also reminded of their limitations. The scientists studying the shroud (below) concluded that it is not a painting or some creative fabrication. They can tell what it isn’t but not what it is. I have read quite a bit about the shroud and have seen at least a half dozen other documentaries on the relic that many believe covered the crucified body of Jesus of Nazareth two-thousand years ago, but this one went beyond all others, moving me from being “very” skeptical to just “somewhat” skeptical as to whether the shroud is in fact the burial cloth of Jesus. Prior to this documentary, I was about a 20 percent believer (80 percent doubter) in the authenticity of the shroud, but I am now an 80 percent believer. My 20 percent doubt is divided between it being the image of someone other than Jesus and some form of fraud that goes beyond modern science. Like so many others, I pretty much dismissed the shroud as being authentic after the carbon-14 tests in 1988 dated it to around the fourteenth century. My belief factor was then down to about two percent. I began reconsidering it a few years later when it was pointed out that the carbon testing was from a small edge of the shroud that was contaminated from frequent handling and from repairs due to fire damage 700 or so years ago. Moreover, it was reported that pollen from an artichoke plant native to the Jerusalem area was found embedded in the fibers. What the scientists in this most recent documentary pointed out that I had not heard before was that a 3-D image analyzer revealed that there are contours in the image – distortions resulting from the cloth being draped over a body – thus strongly suggesting that the shroud was in fact wrapped around a human body. Such contours are not found in paintings or other art work, making it highly unlikely that it was an artistic endeavor by Leonardo da Vinci or some other artist from that era, as so many have come to believe. And while the image on the shroud appears to be a man much older than 33, the age at which Jesus is said to have been put to death, a computer graphics artist was able to eliminate the contours and turn the two-dimensional image on the shroud into a three-dimensional figure, the result being a much younger man, one of perhaps 33. Add in the fact that the numerous blood stains on the shroud were subjected to testing and found to be real blood with DNA indicating an ethnicity from the area around Jerusalem. On top of that, the numerous blood stains on the shroud are consistent with wounds resulting from both scourging and crucifixion, including a crown of thorns. While there is evidence that many others were crucified in Jesus’ time, indications are that scourging was not part of the execution process, and it seems very unlikely that a crown of thorns would have been placed on the victim. To put it another way, the wounds on the shroud image are totally consistent with the biblical account of the crucifixion of Jesus and not consistent with what is known about other crucifixions. Another interesting fact mentioned in the latest documentary has to do with the sudarium, a face cloth that is said (John 20:6-7) to have been draped over Jesus’ face before the shroud was placed over him. The sudarium has long been preserved in a chapel in Oviedo, Spain. Forensic testing has “lined up” the blood on the sudarium with the blood on the shroud. While carbon-14 testing has dated the sudarium to around 700 AD, the history of this particular sudarium goes back to approximately 570 AD, and the laboratory noted that later oil contamination could have resulted in faulty testing. 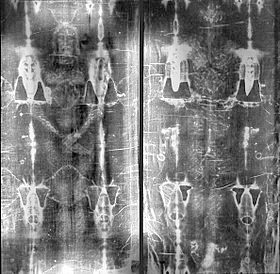 Those involved in studying the shroud cannot offer a scientific explanation as to how the image was imprinted on the 14-foot long linen. It was explained that diffused light would not make such an imprint. The bottom line is that it is presently beyond science. Of course, the religious explanation is that it resulted from some supernatural burst of energy that is called the resurrection. Od was the name given by German chemist Baron Karl von Reichenbach (1788-1869) to an energy that he discovered existing among “sensitive” people – people with clairvoyant, clairaudient, and clairsentient abilities. It is said to be a “life principle” that permeates and connects all living things and has been likened to the prana of the ancient Hindus, the chi of the Chinese, the astral light of the Kabbalists, the vis medicatrix naturae of Hippocrates, the magnetic fluid of Mesmer, the orgone energy of Reich, and the ectoplasm of mediums. It is apparently present in all humans, although those with mediumistic ability have it in greater quantities, though not necessarily in greater quality. Indications are that the misty vapors often observed leaving the body of a dying person are od. It acts as sort of a glue in bonding the physical body with the spirit body, and the more materialistic the person the denser the od and the more difficult the separation. 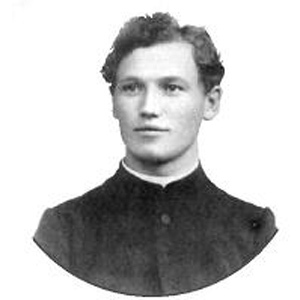 “Not even of Christ was the natural body raised,” Greber was further informed. “Like the physical bodies of all mortals it had been created from the od of the earth and like them it returned to earth, with this exception, that it was not redissolved into terrestrial od by way of decay, but by dematerialization effected by the spirit-world.” It was further explained that when Jesus appeared to his disciples after his death, his odic body materialized, and when he departed the odic body dematerialized. As I see it, the survival or resurrection message is not affected one iota by accepting that the physical body of Jesus dematerialized rather than believing that it “went to heaven.” I’m at 99.9 percent on that. “It is impossible to be so close to the cutting edge of life and death and not be transformed by it in some way. 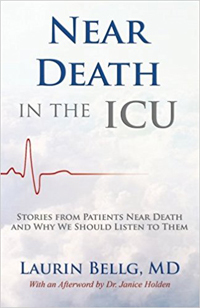 Our beliefs and opinions about life and death are shaped by what we encounter.” So writes Laurin Bellg, M.D., in her recent book, Near Death in the ICU. Dr. Bellg, (below) a board-certified critical care physician and Chair of Medicine and ICU director for two intensive care units in the Appleton, Wisconsin area, draws upon some 20 years experience in attending to critically ill and dying patients. 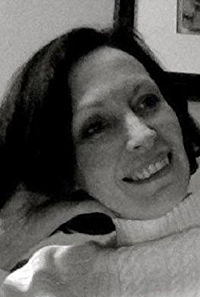 “Although it was within the hallowed halls of my conventional medical training that I first encountered patient accounts of the unusual and mysterious during near-death moments, extreme illness and trauma, it has only been within the past few years that I have begun to pay serious attention not only to the medical care of my patients but also to their personal experiences as they approach death,” she offers in the book’s Introduction, adding that her own thoughts about life and death have morphed over the years, due in part to the accounts of transcendent experiences. I recently had the opportunity to interview Dr. Bellg for The Searchlight, a publication of The Academy for Spiritual and Consciousness Studies, Inc. (See http://www.ascsi.org and check out details of their June 7-11 conference at http://www.ASCSIconference.org) A slightly abridged version of that interview is presented here. Dr. Bellg, what were your beliefs relative to life after death prior to having the various deathbed and near-death experiences you report in your book? How have they “morphed”? “It is impossible to be exposed to death-bed and near-death experiences and not be affected by them, but what I can say with certainty is after being privileged to have heard so many accounts of near-death experiences, I’m not afraid to die. What comes next, though, I really don’t know, but I believe something does. And I’m beginning to think that what it looks like to us from this vantage point is heavily influenced by our culture and belief systems. Is there any one patient or NDE that especially moved you? If so, would you mind summarizing it? What about deathbed visions or other deathbed phenomena, such as “soul mist”? You state that discussion of these transcendent experiences by patients is not a “safe” topic with your peers. Have you seen any changes in this regard over your 20 years of practicing medicine? Have you had much feedback from your skeptical peers about your book? If so, how do they react to it? What are your views on all the mechanistic theories relative to NDEs, such as oxygen deprivation, hallucinations, stress hormones, etc.? You mentioned in the book hearing a physician interviewed on the radio tell an NDEr that he was likely hallucinating. If you, as a director of an ICU, were to overhear a young physician in the ICU offering a similar explanation to a concerned patient, how would you handle it? The NDE has been studied now for more than 40 years. Aren’t we well past the point of diminishing returns in what we can learn from them?